The craftsmanship, originality, and beauty that you have been searching for is here in the JB Double Barrel Table! 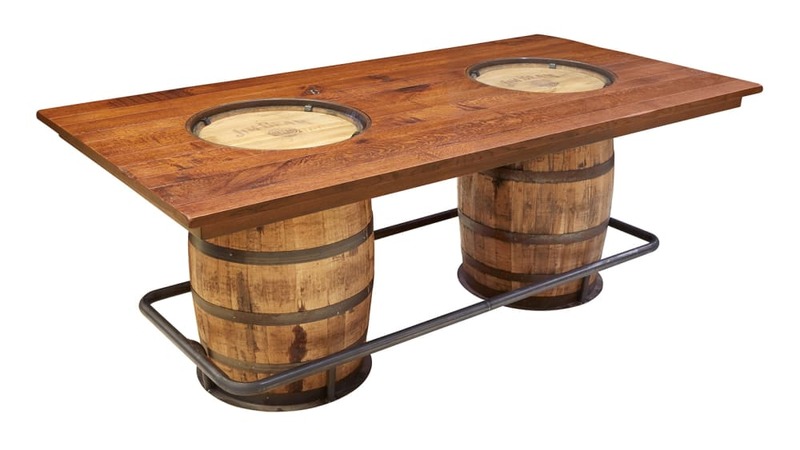 Featuring two authentic whiskey barrels, this piece was carefully handcrafted by American craftsmen and built to last a lifetime using quality solid wood. Choose this one of a kind table for your dining room, den or anywhere in between!